I am back with a new project. It may be a little late, but here it is! 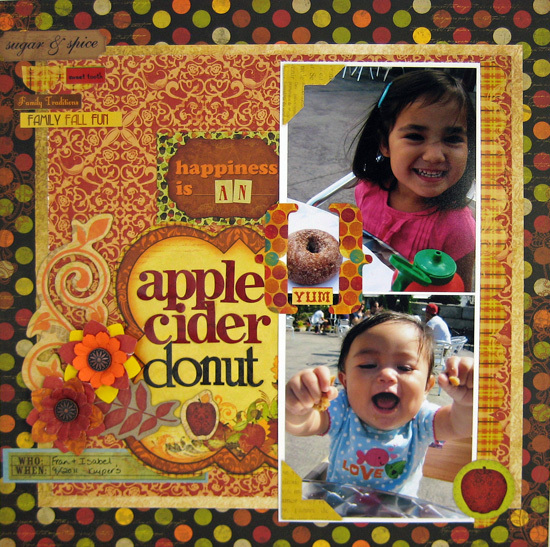 I created this layout last week with Bo Bunny Apple Cider. This layout is based on a sketch by Juliana Michaels, another Bo Bunny DT member.